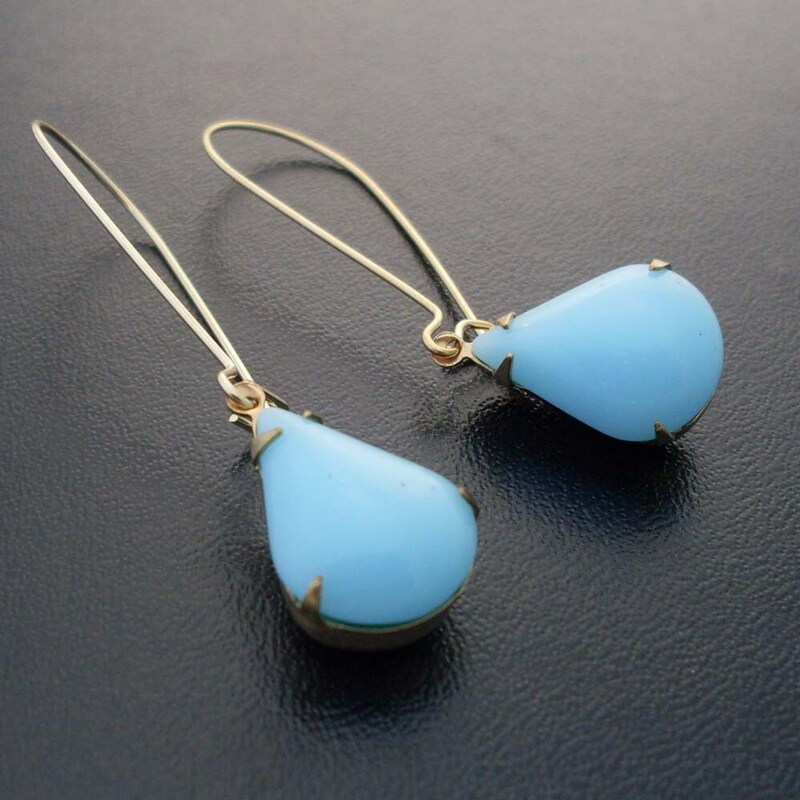 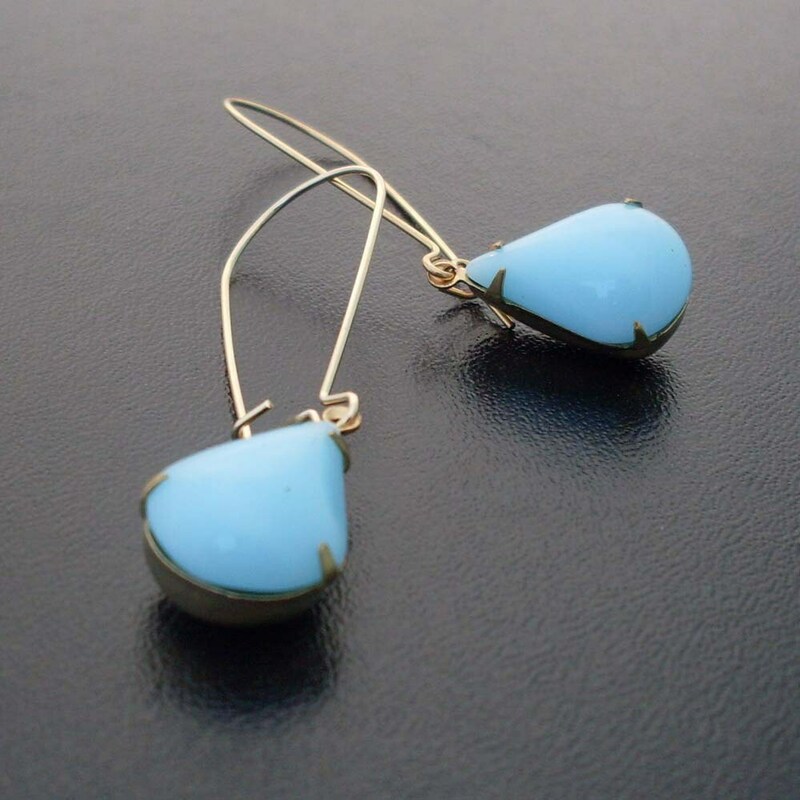 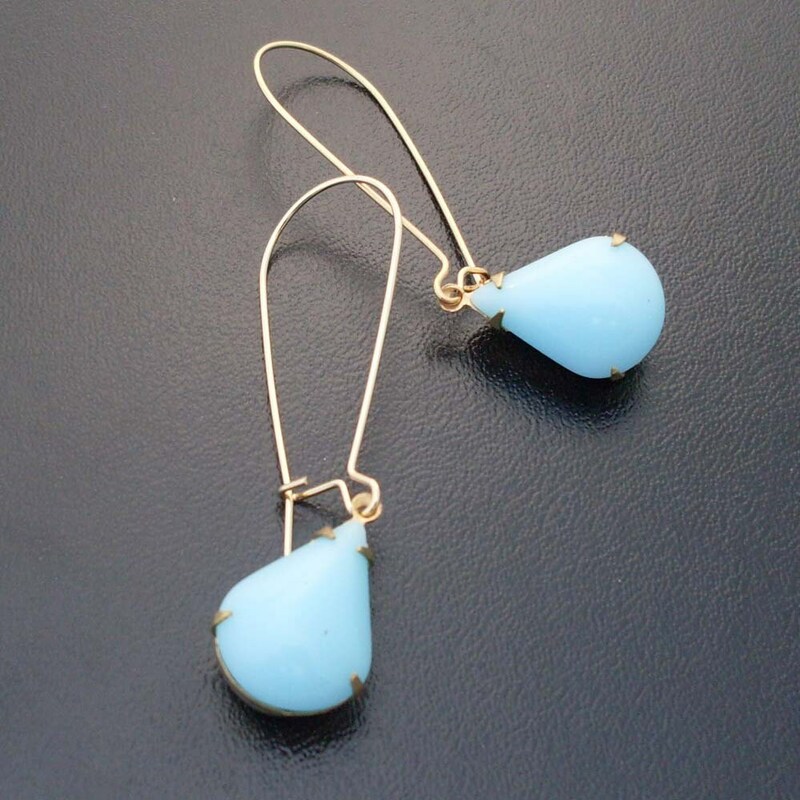 Blue glass teardrops dangle from long gold plated kidney wire to make these blue earrings. 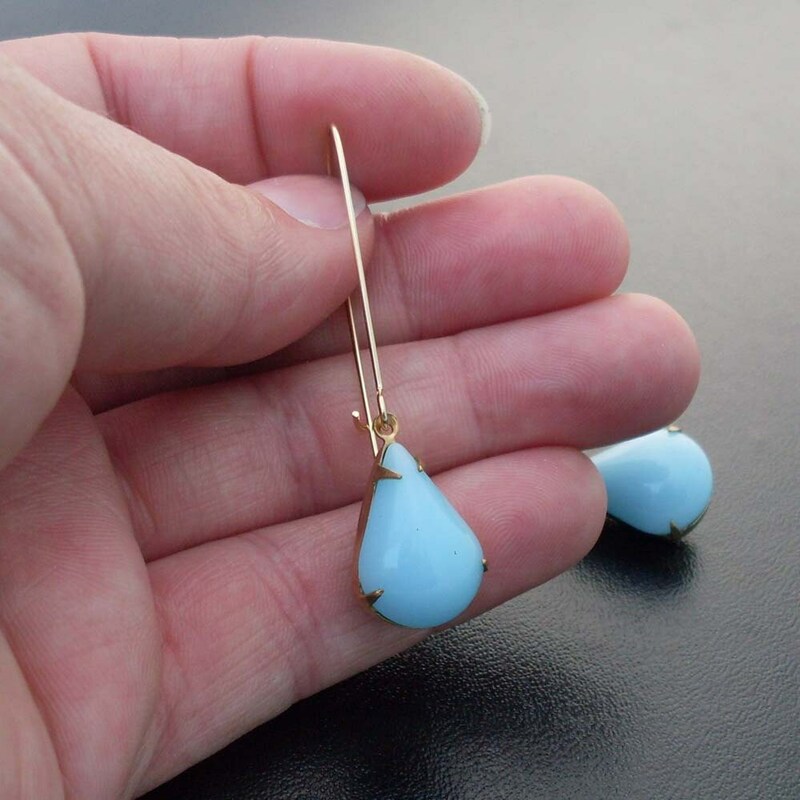 The earrings are 2" long (50mm). 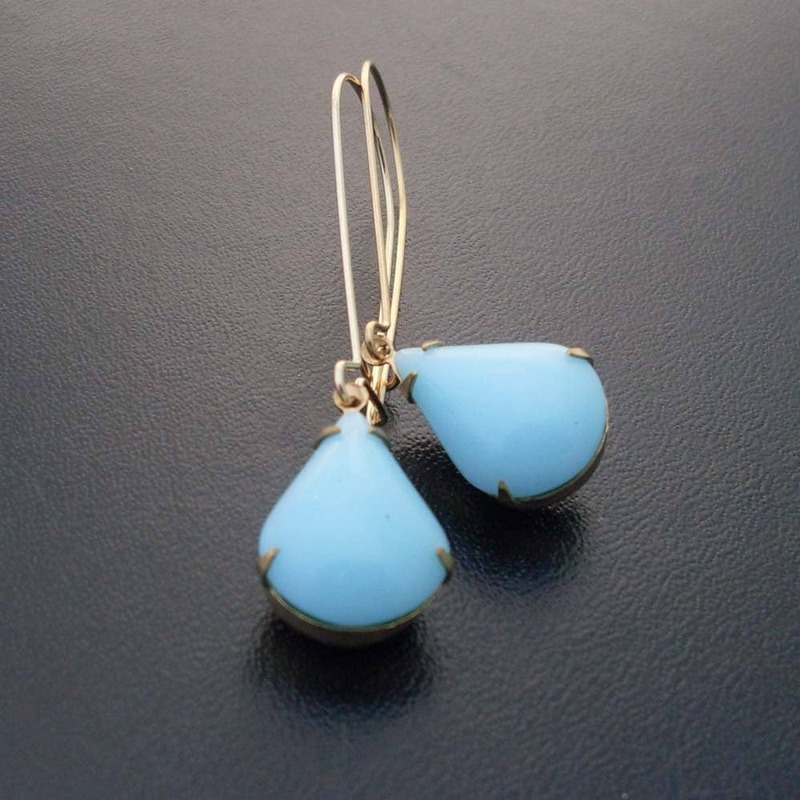 This comes in a beautiful gift box perfect for giving!